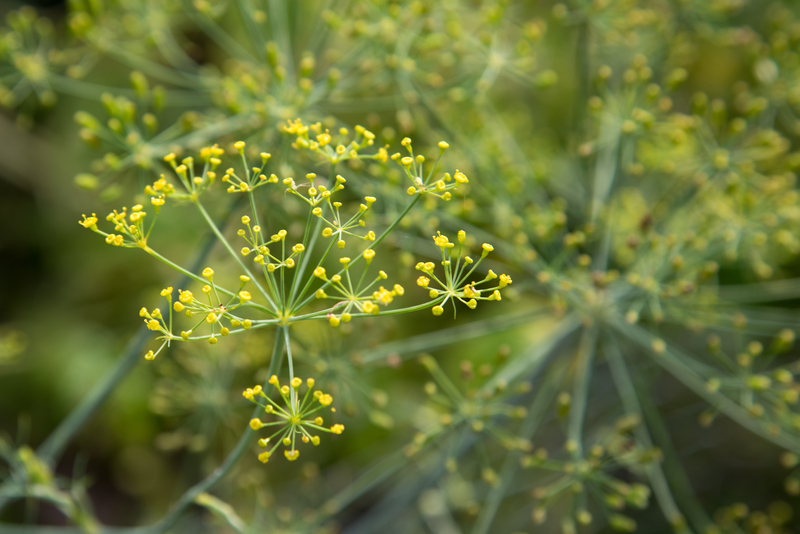 Who’s Eating My Dill Weed? 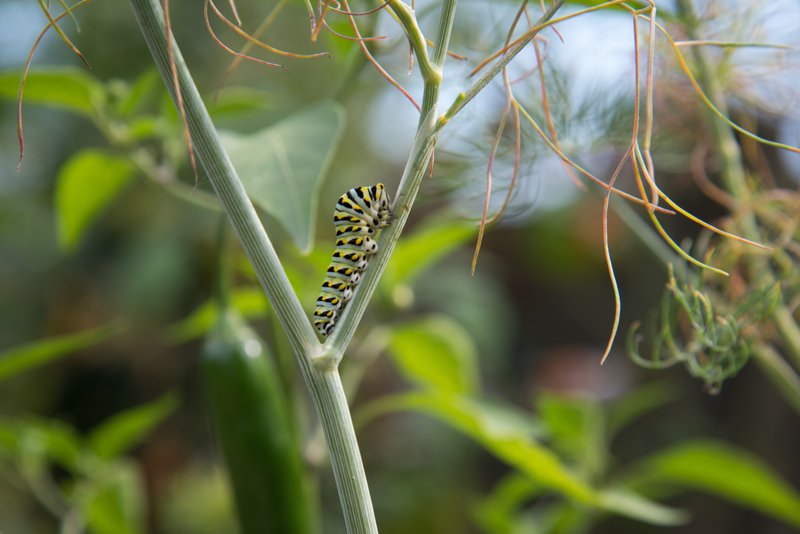 There were several, actually, so I stopped pulling the plants and left the insects where they were – there’s plenty of dill to spare, and these caterpillars will soon pupate to later emerge as black swallowtail butterflies. 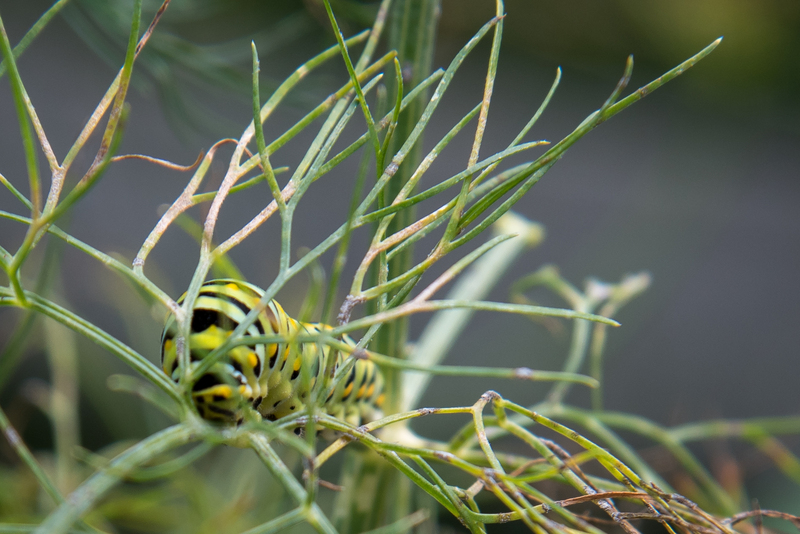 Black swallowtail (Papilio polyxenes) caterpillars feed on plants in the Apiaceae, mostly on garden plants brought by European colonists: dill, parsley, wild carrots, and fennel. Learning that, I immediately wondered what they ate before the invasion. I wasn’t the only one asking that question, for the answers were right there on the internet. Among other things they love golden Alexanders (Zizia aurea). I love golden Alexanders, too, and bought one from a native plant nursery last spring. Darned expensive little thing. It’s coming along quite nicely, but there isn’t enough green to spare to feed a voracious late instar caterpillar. I don’t know what I’ll do if I find one on the plant. Probably pick it off and move it over to the dill. Hopefully that wouldn’t cause the osmeterium to come out. 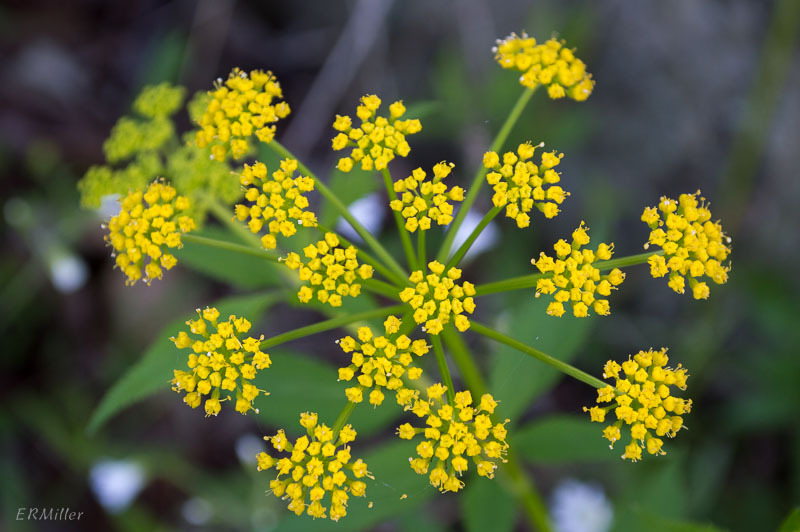 This entry was posted in Uncategorized and tagged Apiaceae, black swallotwail, butterflies, dill, golden alexanders, Papilio by elizabeth. Bookmark the permalink. You are too funny. I had to look up the definition of osmeterium, but you are funny! Or you could just click on the link; there’s was a nice description of osmeterium at that site.